The spectrum auction process, started by NTA, was put on hold due to SC’s decision. Now as the SC vacated its earlier decision, the residual spectrum auction process is known to move ahead. NTA had called for the auction of the residual spectrum in 900 MHz, 1800 MHz, and 2100 MHz band. Interested applicants ( Telcos with unified license) can apply to own the remaining chunks of the spectrum. The operators should also clear all the pending dues like royalty, RTDF and license fees. Fearing of losing the spectrum which is a requirement to operate a mobile service, CG Telecom went to Supreme Court and succeeded in getting the stay order of the Spectrum auction. Following which, NTA also went to vacate the decision, terming not based on facts and legal issues. Soon Supreme court vacated the earlier stay order for the Spectrum auction. 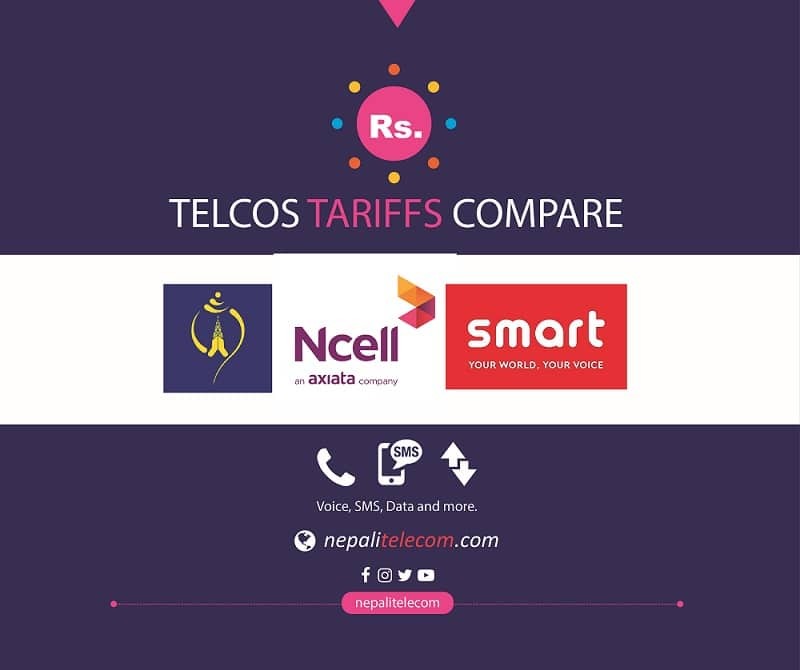 Most of the major operators like Ntc, Ncell, Smart Telecom, UTL can take part in this spectrum auction. But the provision to have cleared all the dues will hamper UTL and Smart Telecom to get the additional spectrum. 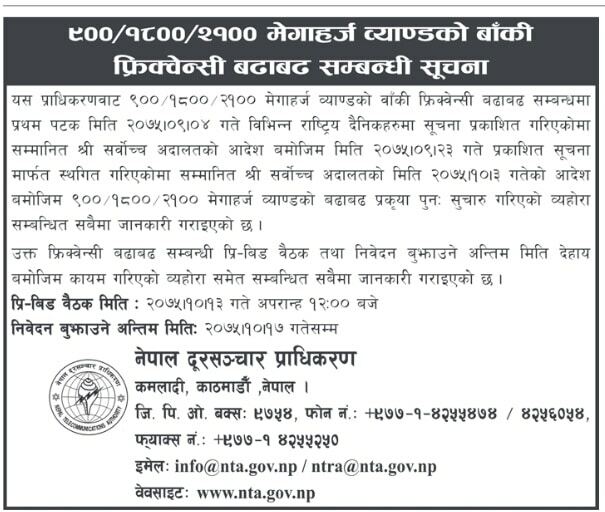 So, now only NTC and Ncell can participate in the auction process. Meanwhile as there was some halt during the SC stay order decision, NTA extends the final deadline for the submission. 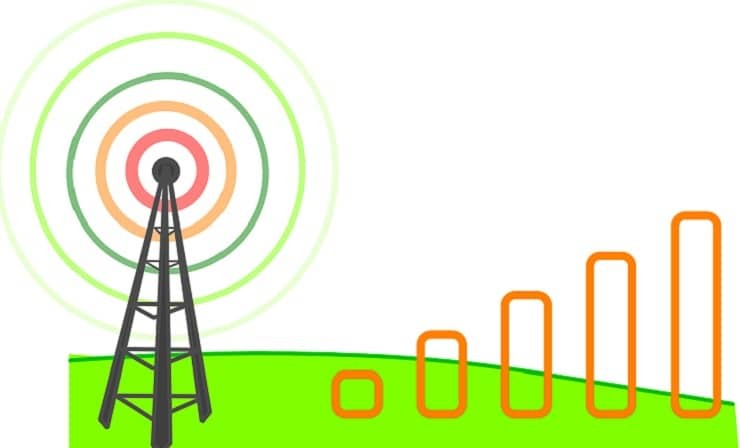 Out of the three frequency bands, 900 MHz is now used for GSM (2G) and UMTS (3G) service. Similarly, 1800 MHz is used for GSM (2G) and LTE (4G) services. And 2100 MHz is used for UMTS (3G) Service only. Read more about 2G, 3G and 4G explained in simple terms. In the spectrum auction, Telcos which bid the highest amount will get the rights to use the frequency spectrum for Mobile services. Find the residual frequency spectrum and the base price of the spectrum here.